This new Weaverville customer was referred to us by a friend, so she decided to give us a call to see if we could help her with her water issues. Thinking that their existing filtration system in the home was not working correctly, they brought their sampled bottle of water to the office for our free testing. They were correct! The water filtration system had failed to filter hard water and iron properly. So, instead of sinking money into an old failing system, they decided to do the upgrade. 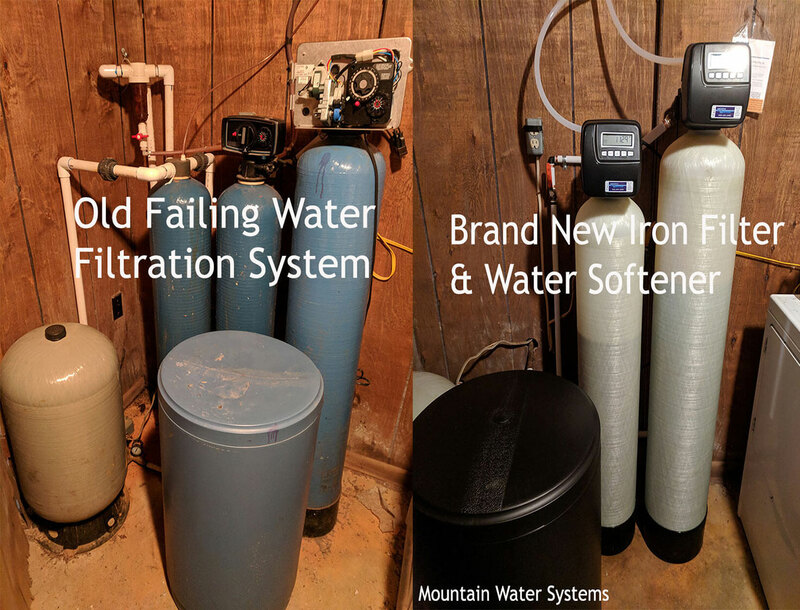 We installed a new American Made Iron filter and Water softener for this customer. No more discolored clothes and staining.